Quna is a free WordPress theme with a clean and modern look designed with the Gutenberg editor in mind. 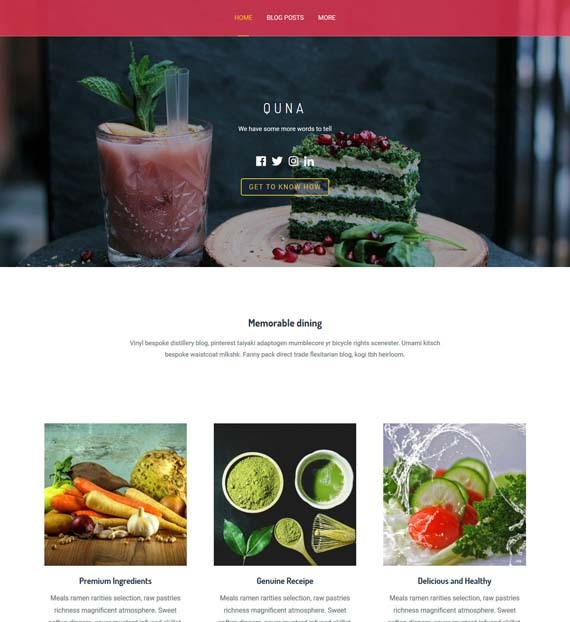 WIth custom header images, social profiles, Instagram feed, five footer widget areas, and custom colors, Quna has everything you need to create a beautiful looking site for your personal blog or small business. On top of that, this responsive theme also features a one-click demo import function so making your website is extra easy.